Nut butters have become all the craze. Where previously we could only find peanut butter on the grocery store shelves, now there is an array of choices made from numerous nuts and seeds. Nut butters are healthy, delicious, and versatile in use. Whether as spreads on your bread, as sauces, and dips, you are not limited in how you can put them to creative use. And now, you have the chance to make your own nut butters. But first you will have to chop your nuts. Quite simply, all you’ll need is your choice of nuts and seeds, and the best food processor for chopping nuts that will grind them to a smooth, creamy texture in a matter of minutes. 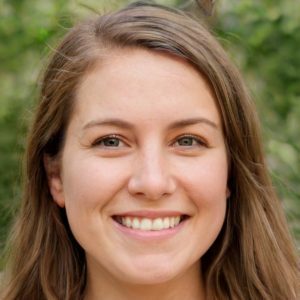 Why would you want to make your own nut butters? Apart from saving yourself tons of cash, this really is the healthier option. You get to choose exactly what ingredients you get to use, and leave out the unnecessary ones, which may include preservatives, excess salts and oils. You’ll also be doing the planet a favor, reducing the choke and waste that is caused by the use of plastic jars. To make your nut butter, make your choice of nut. Peanuts, almonds, pistachios, hazelnut, walnuts and sesame make lovely nut butters. 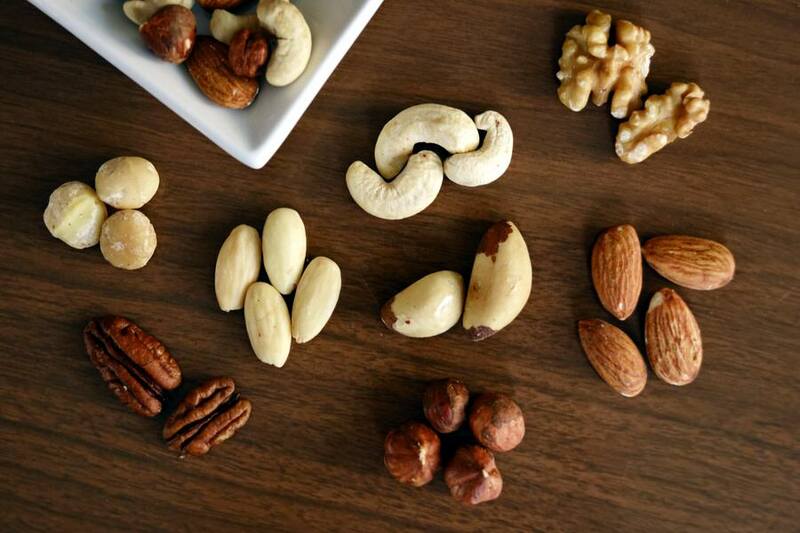 You can soak and dehydrate the nuts beforehand, or roast them to ensure they have no moisture. For every 2 cups of nuts, add 1 about tablespoon of oil, which could be a neutral, light tasting or flavor-complimenting oil, such as coconut oil. You may also add sea salt or your preferred sweeteners. Pour your mixture of nuts and salt into the food processor, and pulse to grin, to a fine powder. Once fine, add the oil, and continue processing until the mixture becomes a creamy consistency. You’ll need to stop the processor occasionally to scrape down the sides of the bowl. Once done, you may add your choice of sweeteners or flavorings at the end. Voile! Knowing how easy it is to make your own nut butter makes you want to get right to it, with your blender. Well, if you don’t mind chunky nut butter and a mess, a blender would be just okay. However, the best option would be the best food processor for nut butter, and of course, for other meal preparations. You want to churn out your nut butter clean and fast, without a mess, and as smooth as silk. 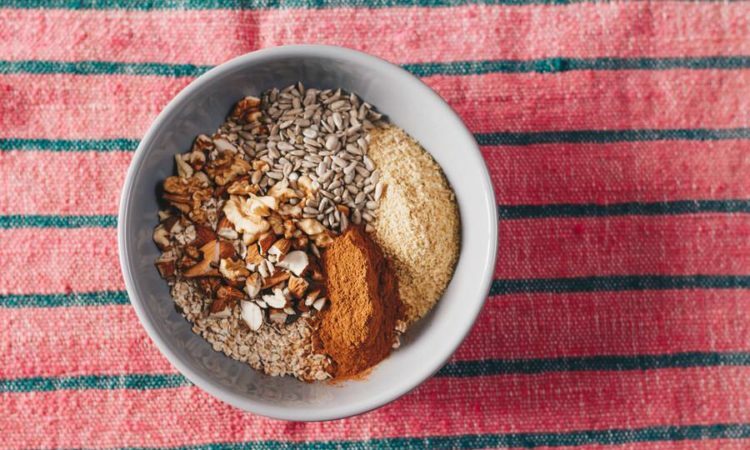 Not all food processors in the market will do this for you, so we’ll identify what you need to look out for when choosing the best food processor for nut butter. You’ll want your nut butter processed into a smooth puree, and this will not be done by a regular blender or food processor. Unless you want a chunky, crunchy nut butter, the creamy smoothness can only be accomplished with a powerful food processor. The quality of the motor determines the power of your food processor. To get your nut chopped up to a powder fine consistency, you’ll require a food processor with a good, strong motor, and considerably high speed options. And don’t overlook the blades either. You might have a powerful motor and blades that are of low quality, and this translates to a weak food processor. Your blades need to be sharp and tough enough to withstand constant use, to complement your strong motor and get the pureeing done for your perfect nut butter. Imagine you are in the middle of processing your nut butter, happy that you have a powerful food processor, and it goes flying off your counter! In addition to having a food processor with a powerful motor and strong blades, it needs to be well built, strong and sturdy. It should be able to blend smoothly without the chance of flying away with your nut butter, or shutting down in fatigue. Many food processors are made to run in short spurts. The best food processor for nut butter should be able to run for a considerable time, be durable with a high quality build, made for the long haul. You will not need to take breaks or replace it after a few nut butter making sessions. BPA free plastic, stainless steel and glass are the options available for food processor bowls. While the glass and stainless steel are not common, the BPA free plastic is readily available and a good choice, and is also a more powerful model. This means that the bowl and blade casing would be plastic, and since they are made to also blend hot liquids, this should not be major concern for you. For your safety, once you are done with processing, do not store your foods in the processor bowl. Some food processors come with additional features and programming options can help you in making your choice. These include convenience features like those that help you load ingredients more easily, pulse function, and those that give you better control over your work. Food processors may not have as many buttons and modes like blenders, but they often have accessories that give you more options in how you prepare you foods. 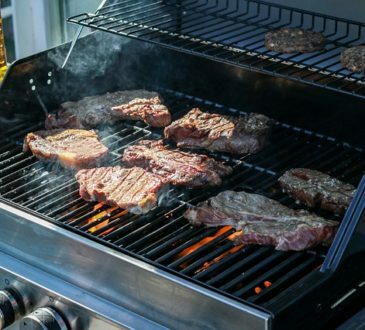 Many will have different blade types and sizes, discs for chopping, slicing and grating, and even different sized bowls. It will be important to consider what you will be using the food processor for, in addition to making your nut butters. You may end up with discs and blades that are rarely, if ever used. To enable you prepare a good amount of nut butter, you’ll need a sizeable bowl. A processor with small bowls will not be as efficient because you will be limited in the amounts you can make with every spin. It may also mean you set up your food processor to blend every time you fancy some nut butter spread or dip. A big bowl is therefore the best choice. This may also mean that this sturdy and sizeable food processor will require more space on your kitchen top. 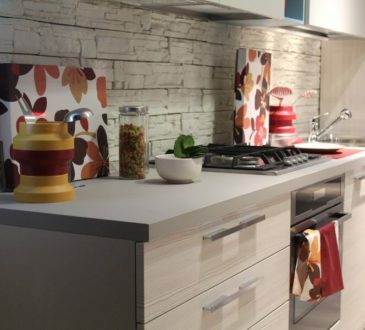 If your kitchen counter is limited in space, a kitchen cabinet or table can also be ideal, especially if your counter is packed with numerous appliances. It is worth the shared kitchen space to have a bigger and sturdier food processor for your nut butters. Making nut butters can be sticky, so your best option would be a food processor that is easy to clean out, without bits of nuts and puree sticking in hidden contours and grooves. Ideally, a dish washer safe bowl would be great, but bear in mind that the blades and lids may have to be hand washed. If you do get those that are dish washer safe- you’re in for some elbow grease saving. 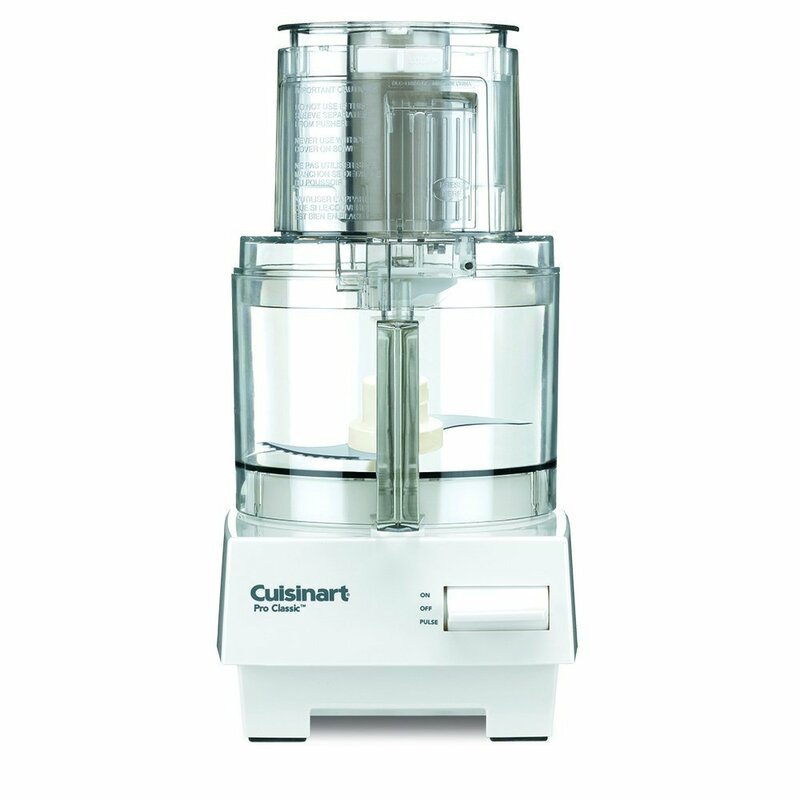 You will not need to break your bank to get a good quality food processor, though we know some that can call for that. Your choice can be a mix of value and quality, so that you don’t spend a lot of money purchasing a food processor whose quality can be matched in a more friendly- priced one. Your food processor should also last for a long, long time. Keep in mind what your budget for the food processor is, and stick to it. For your nut butters and other blends, consider too how often you will be using the processor, and this can also guide you on what kind of amount you will be willing to spend on it. Having considered the basic important considerations, we can now review the best food processors for nut butter, which are available. 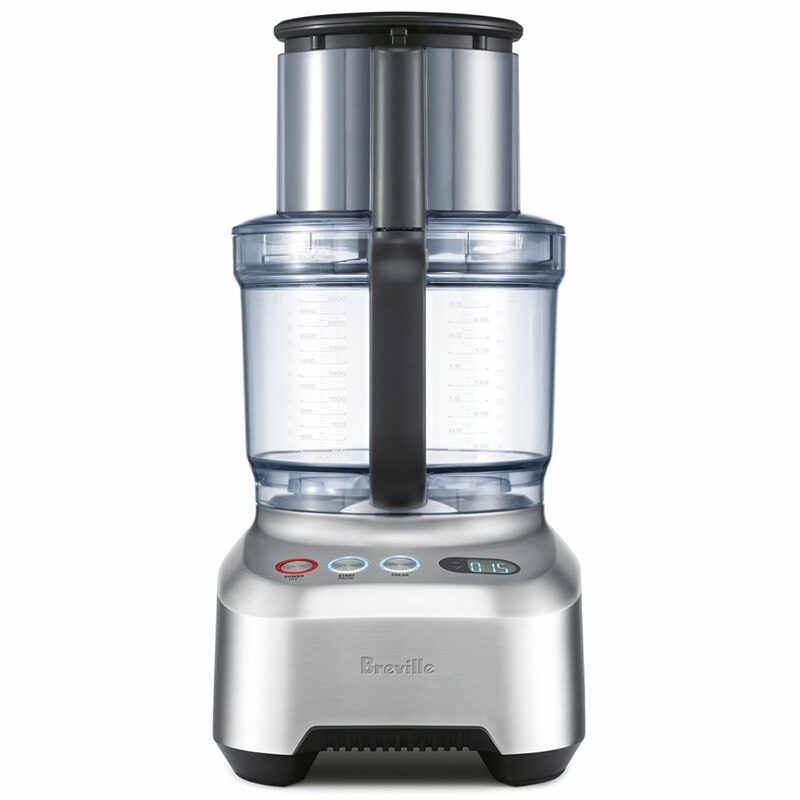 Quite powerful with a motor of 1200 watts, the Breville food processor is a high powered food processor that butters your nuts in no time. The 1200 watts of power means the motor works to grind and chop nuts in a few seconds. It comes with an extra wide feed tube of 5.5 inches, allowing you to feed your nuts straight into the already set up bowl. Designed for longevity, the Breville is sturdy with a strong base, and will not fly off the counter with your nut butter. The BPA free plastic bowls are large, with a sizeable capacity of 16 cups that is quite the upper limit in the amount of nut butter you can make, while the smaller bowl has a capacity of 2.5 cups. 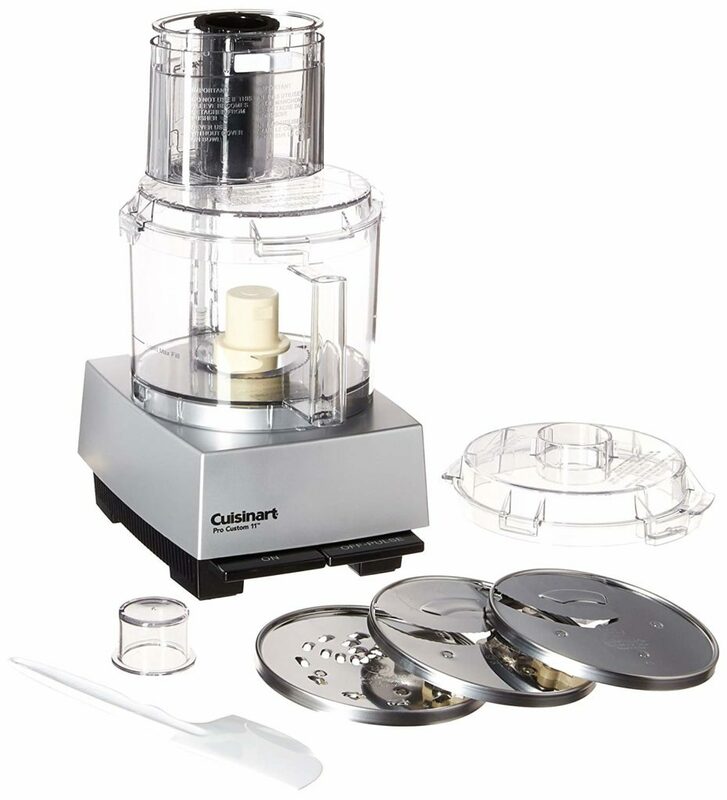 The 3 blades and 5 multi- functions discs are strong and of high quality, making this a durable food processor. 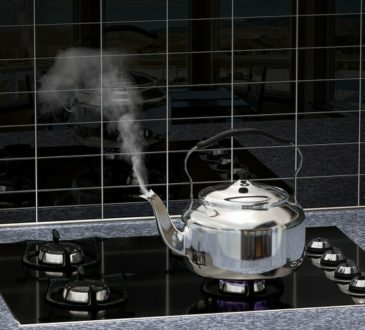 A silicone seal reduces any chances of liquids spillage, and the safety system prevents the motor from running, unless the lid is firmly locked in place. A count up and down timer LCD- display system also makes this processor quite fancy, and useful. Bowls and lids are not dishwasher safe. 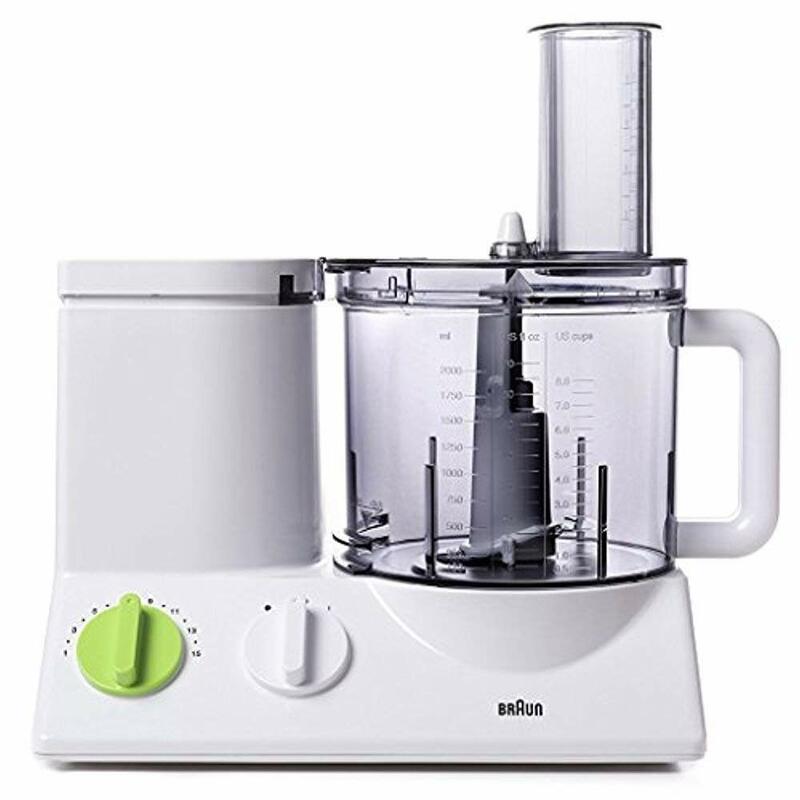 The Braun FP3020 has a 12-cup dry ingredients capacity and 9 cups for liquids, and an uncommon 7 different blade options and 11 speed settings. This gives is a wide range of processing combinations for high performance. Though not as powerful, it has a 600-watt ultra-quiet motor that peaks to 900 watts, and there are additional blades that you can purchase separately for added functionality. With the exception of the motor base, all the parts of the Braun FP3020 are dishwasher safe, which is quite a necessity as it can be quite messy with spillage from the processing. The large feeding chute can take big and long items without the need to pre- chop them. Its efficient motor means that it runs more quietly that other food processors for nut butters. It has a pre- set speed function and startup feature that allows it to start processing at any speed, without having to spin up through all of them to get to your desired speed. This is a sturdy, strong processor with a wide base, which takes up quite a bit of your counter top. Very easy to use, the processing bowl locks securely onto the motor base, and the motor will not start unless the lid is properly clocked into place. It packs a stainless-steel slicing disc, shredding disc, and chopping blade, so you can easily tackle up to 4 cups of your nut butters. Your comfort is further enhanced by the dishwasher parts- the Lexan bowls, blades and the lid, so there’s no hand-washing for you at all. The controls include intuitive “on” and “off/pulse” buttons, 7 food preparation functions that make operating it pretty simple. With a very handy spatula and a feed tube that’s extra-large, no pre- chopping is required. 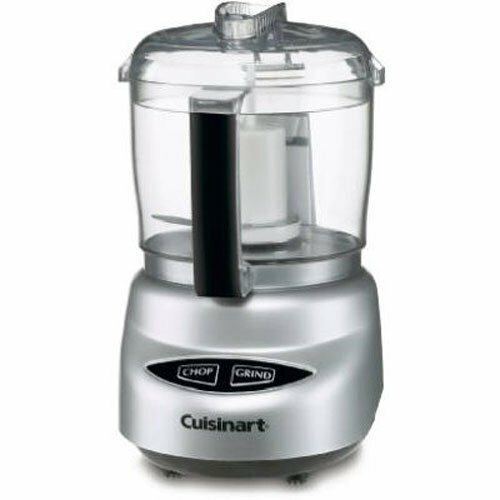 The Cuisinart DFP-14BCNY 14-Cup Food Processor is large, and will require quite some counter space, but this should not be a cause of concern, as it is sturdy and strong, with a hefty stable weight and wide base. This processor stays put no matter how fast the blades are spinning. Here is a lightweight 250-watt food processor that is ideal if you’re only looking to make small amounts of nut butter. This food processor comes in 3- and 4-cup sizes, and it has only two settings: grind and chop, with the auto-reverse stainless steel patented blades spinning in both directions. What a sight! This means there’s no task of changing blades, and your only task is to select whether to chop or grind, blend or puree. The BPA free plastic work bowl holds 24 ounces and includes a handle for maximum control. This, and the lid are dishwasher safe too, so cleaning will be a breeze for you. Despite its small size, it is quite loud when the motor is running. Its compact size means it will not take up much of your counter space, and is ideal for a small sized home. 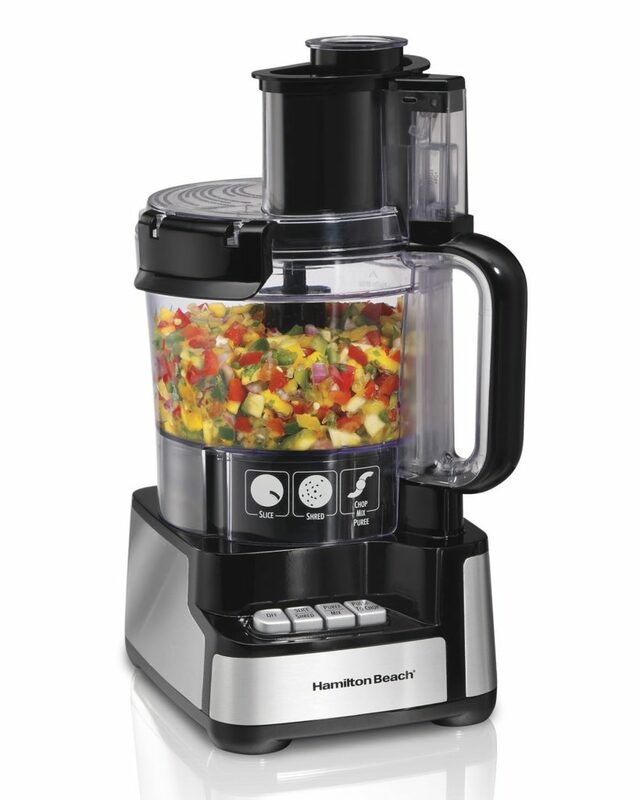 Another inexpensive food processor, the Hamilton Beach 12 cup Stack and Snap is full sized, and features an Easy Stack & Snap assembly that requires no difficult twist locking. It has a capacity of 12 cups, and has motor that drives 450 watts. It offers you a shredding disc and a high speed S blade for blade options. There is a set of two-function buttons on the front from which you select the speed of the blade, and a wide feed chute for your ease in pouring in your ingredients into the food processor. The food processor snaps and clicks securely into place, and these snap clamps are a great safety feature for small or problematic hands. Having similar functionality and bigger units, the Hamilton Beach 12 cup is very budget friendly. 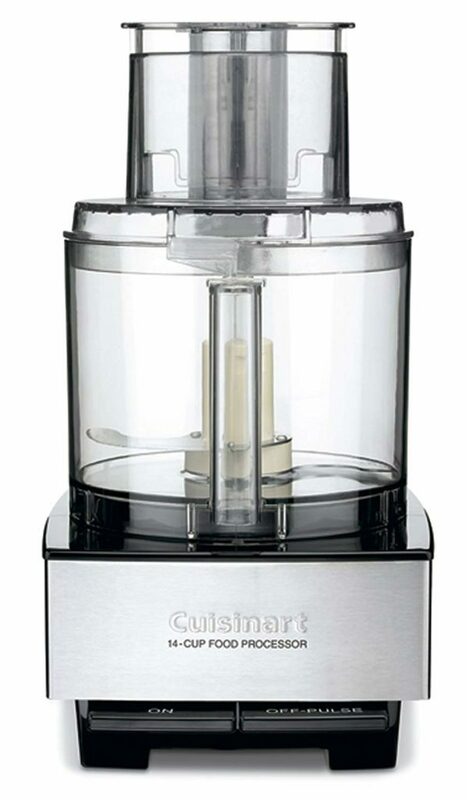 The Cuisinart Pro Classic 7- Cup food processor is powerful, has multiple blades, and is relatively big without taking up too much precious cabinet space. It also has a clean, attractive look. A mid- sized processor, it has a heavy-duty 600 watt induction motor that operates quietly, and is simple to assemble, use, disassemble and store away. It comes with a 4mm medium slicing disc, a shredding disc, and a strong stainless steel chopping blade that will grind your nuts into a fine powder.. It also includes small and large pushers, detachable disc stem, compact flat cover, spatula, and a recipe book. The large bowl and extra-large feed tube holds whole fruits and vegetables so no precutting is required of you. The bonus flat cover for processing on the bottom of the bowl comes as an extra, and the single paddle control features On, Off & Pulse buttons. All parts of the Cuisin Pro Classic are BPA-free and dishwasher-safe. This powerful and sturdy food processor’s safety feature means it will not run unless the lid is locked in place. The DLC-8SY Pro Custom 11™ Cup food processor has classic design that is packed with an industrial strength motor- a true powerhouse. Built with dependability and convenience in mind, it features a unique chopping and kneading capacities in a compact unit, in addition to other versatile features such as slicing, shredding, mixing, and pureeing. The industrial strength motor of 625 watts is designed to handle tough jobs, even kneading dough, so processing your nuts is a quick breeze. The unique compact chopping cover with a large feed tube for the Pro Custom 11™ is extra wide, and easily fits whole fruits and vegetables, so no pre- cutting. It also has a smaller feed tube for your smaller foods. On/Off Pulse Paddles makes operating this processor simple, and the compact cover is easy to remove and clean. It is a medium sized unit (7 x 11.24 x 14.50 inches), sturdy and strong in build, which makes it easy to use, disassemble and store, without taking up much space in your cabinet. It comes with 24 more parts in its accessories including a flat cover with gap, a work bowl, disc holder and much more. There is no shortage on the options you have to select from when shopping for the best food processor for nut butter. There’s definitely not shortage of options when it comes to making nut butter. Taking into consideration your budget, kitchen space, durability, and more, there is a food processor that is just right for you.